Media days for the 2017 New York International Auto Show have ended. We’ve already escaped the city with the help of a Honda Ridgeline. More on that later. But with so many press conferences on Day 1 and a busy morning of Day 2, we have even more new debuts to cover. This NY show has been one of the biggest and warmest we remember. Check out some more of our favorites and then head down to the Javits Center starting on Saturday to see everything for yourself. Quick, someone get grandma a chair! The all-new Buick Regal is a hatchback. Oh my! But wait, as Billy Mays would say, there’s more! Say hello to the Regal TourX – a Buick Regal…wagon! 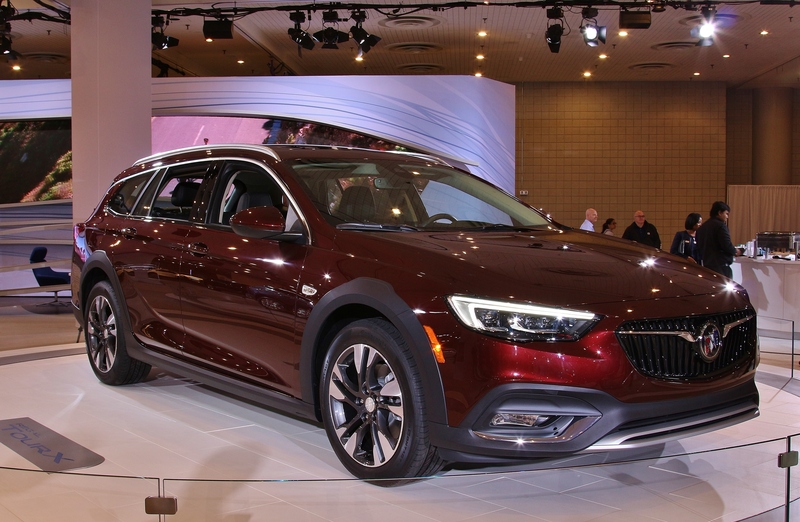 We say wagon, but with its raised suspension and plastic body-cladding, Buick is definitely trying to draw the eye of the crossover buyers here. Powered by a 250 hp 2.0L four-cylinder, the Regal Sportback and TourX will go on sale soon. With the world debut of the Dodge Challenger SRT Demon and the Jeep Grand Cherokee SRT Trackhawk (ok…these names are getting ridiculous), we very nearly overlooked the Durango SRT. Unveiled in Chicago, this was the first time we got to see Dodge’s 7-passenger SUV turned up to 11. 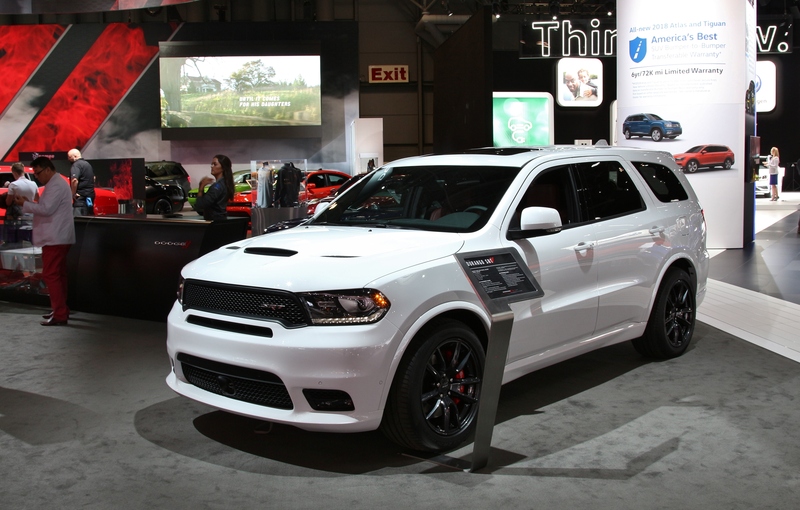 With SRT’s 475 hp, 392-cubic-inch Hemi V8 under the hood, the Durango SRT will transit your family down a quarter mile in 12.9 seconds. We can’t wait to try that out. Expect to be able to scare your children by the end of the summer. 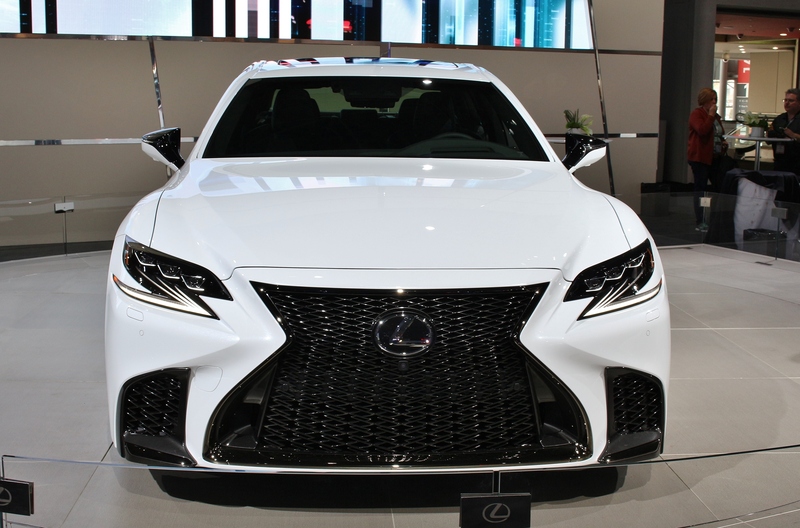 The all-new Lexus LS made its world debut in Detroit. Here in NY, the LS got the F Sport treatment. As is typical with the F Sport lineup, no extra power is available here. But retuned air suspension, an active stabilizer, four wheel steering, and larger brakes should help LS F Sport driver liven up their luxury sedan experience. Might we eventually see a true LS F? Let’s see if we get an LC F first. Until then, there’s plenty of spindle grille to go around. We’ve heard rumors and seen concepts, but nothing feels quite as satisfying as seeing the production cars in person. The all-new 2018 Civic SI and Type R are finally here. Yet they come from different places. The Civic Si, with its 1.5L turbocharged engine making 205 hp and 192 lb-ft torque was developed here in the US. 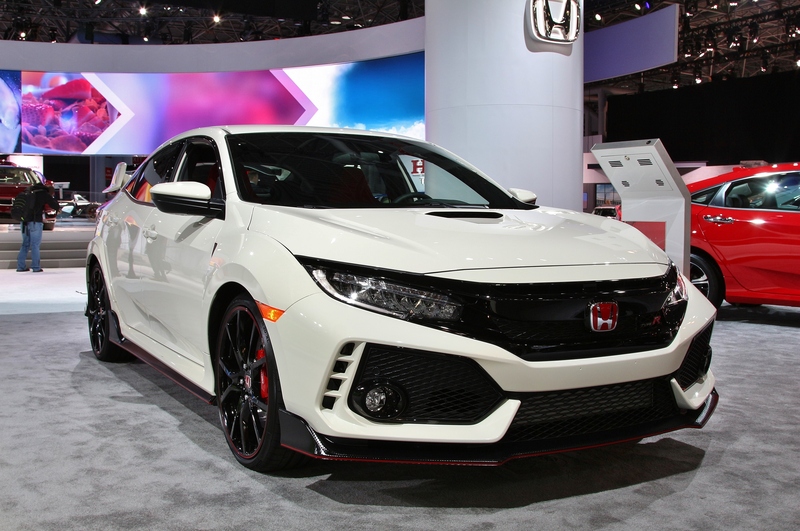 In contrast, the protuberant Type R and its 306 hp 2.0L turbocharged engine hail from Japan. Enthusiasts will give the Si a hard time because of its stats on paper. But the Si is lighter, stiffer, and features adaptive dampers and a limited-slip front differential to go with its sport-tuned suspension and steering. Expect sedan and coupe Civic Si models to reach dealers in May. Sweden hasn’t had this many hits in a row since ABBA topped the charts. 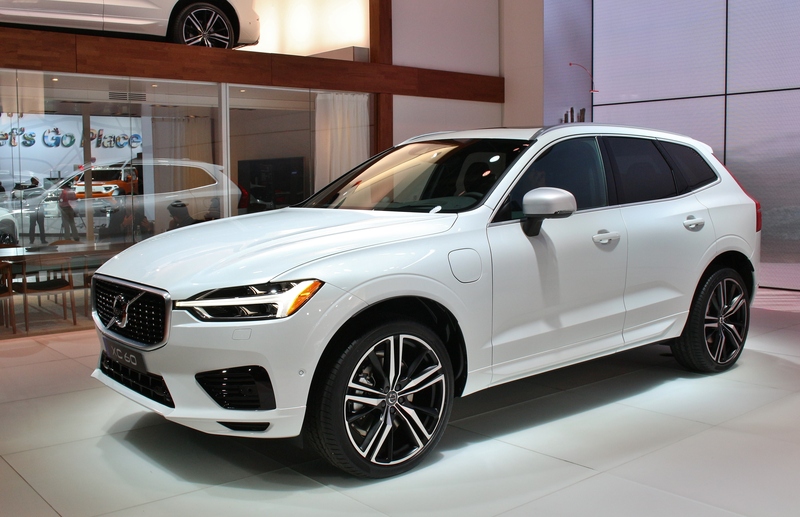 Inheriting its style, poise, and class from the beautiful XC90, Volvo’s new midsize sedan was unveiled in Geneva and makes its US debut here in NY. The family heritage is strong in the new XC60. All 3 of the XC90s engine options will be available. Inside, the seats, steering wheel, and large infotainment system look remarkably similar as well. The last XC60 held its own in the market for nearly a decade. By year’s end, all of its fans will have a brand new XC60 to see in dealerships.